Hi All, it’s been a while! 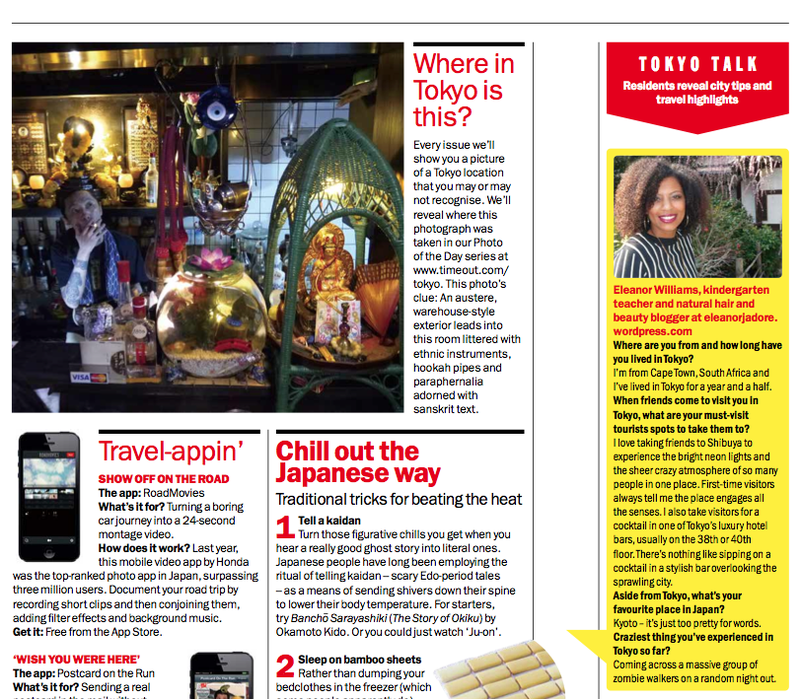 I’m back from England and over the moon to share my mini feature in the Time Out Tokyo July-September 2014 issue. 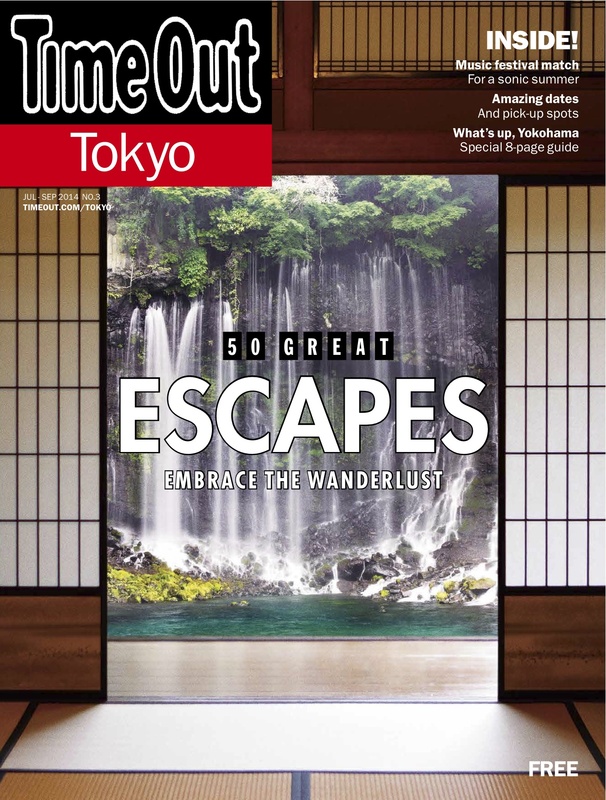 I was interviewed in the Tokyo Talk column where I revealed some of my city tips and travel highlights. Have a look here to view the online version of the magazine, where you can also order your printed copy. Thanks for all the support and coming back to my site so often. I have lots of posts planned so make sure you continue to check back regularly. It has been amazing! I’m doing a solo trip so I’m doing a homestay in Koganei. Luckily, friends of friends in the area have been showing me around so it’s been a blast. Japan is definitely very interesting! Oh I’m glad you’re having a great time. Where in the world are you from and how long are you still here? I’m from Washington, DC in the US and I leave on Sunday. 🙁 I’ve been here since last Friday. Pretty quick trip. I will definitely be back to visit more cities. How long have you been in Tokyo?